A working air conditioning system or A/C unit is a must for comfort in the Las Vegas heat. In fact, many of us probably take our A/C systems for granted, confident that they will continue to keep us cool reliably every single day. But what happens when your A/C system isn’t working as it should? Don’t panic! AC Plus has answers. One of the most common issues we hear about is an AC system not shutting off at all. If your system is running continuously, you could be in for much higher energy bills – and that’s the least of your problems. If your AC system won’t shut off, it could be a sign of bigger, more expensive problems on the way. This should always be your first line of inquiry if your AC unit won’t shut off. It may be set incorrectly—for instance, the fan may be set to run constantly instead of automatically—or it could be that the temperature has been set too low. Try setting the thermostat to a degree or two above room temperature. If it still doesn’t shut off, then it’s probably not the thermostat that is at issue. Dirty coils are often the cause of inefficient cooling. Dirt, dust, and debris build up on the coils over time, causing the unit to work overtime to maintain the temperature. Clean your condenser coils on a regular basis to ensure your unit is working as it should. Near the blower, you will find a “fan limit switch”. This feature allows the fan to run independently, meaning it is not affected by the thermostat setting. When this setting is on manual, it may mean that the fan runs constantly instead of just when it’s needed. Switch this to “auto” and the fan won’t run on its own anymore as it will be controlled by the thermostat settings. 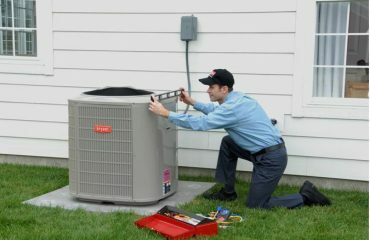 Regular and seasonal maintenance is crucial to maximizing the efficiency and longevity of your A/C system. A properly maintained system will ensure you are getting the most out of your investment and paying the least possible amount on your energy bills. It will also help keep the air quality in your home the best it can be and reduce the number of service calls you will have to make throughout the year. Still need help with A/C maintenance? Call AC Plus today! These are just a few tips to help you troubleshoot problems with your A/C system. If you have performed these simple tests and the system still won’t shut off, it might be time to call in the experts at AC Plus . We offer same-day and emergency service throughout Las Vegas, helping you maintain cool comfort all year-round.